SHP Debate: Do we really need to be talking about mental health so much? Recent years have seen mental health take a more substantial place in the health & safety agenda, but has its importance been overstated? 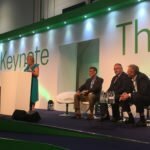 Four experts took to the Safety & Health Expo stage to debate the point. Heather Beach, Managing Director of The Healthy Work Company, introduced the session with a statement: that the health & safety industry has for too long leant solely on the safety element of its title, and is only now waking up to the vital role that worker health and wellbeing plays in creating a safe and happy workforce. While something that the industry, professional bodies and society has been happy to go along with, there are dissenting voices suggesting that this new focus on mental health is detracting from the traditional role of health & safety professionals. Dr Dominic Cooper, CEO of b-Safe Management Solutions and an expert on behavioural science and safety culture, is a vocal critic of this new approach, and was on hand to offer his opposition. On hand to debate the case with Cooper was Martin Coyd, Head of Health and Safety for Construction at Mace, and Geoff Cox, Head of Health & Work Division at the HSE. Cooper was given five minutes to defend his stance that the recent increased focus on stress is weakening the ability to deal with severe accidents, with the added caveat that the skillset of health & safety professionals does not lend itself to the issue. Cooper explained to the Safety & Health Expo’s Keynote Theatre that his research has shown that while the rate of minor injuries has fallen by about two-thirds in the past 30 years, the number of serious injuries and fatalities has remained consistent in the same period. A former scaffolder, he explained that his passion for health & safety is based around trying to stop people dying. The issue with stress and mental health, he said, was that it is a nebulous topic, with no real way of telling what stress originates from work and what from home. Additionally, the average safety professional is not competent or trained to deal with the nuances of mental health, he says, and it should be a responsibility of HR departments rather than health & safety, especially when you consider that the majority of stress is created by resource, mainly financial, issues. Addressing the two main points made by Cooper, those of capacity and competence, Cox pointed out that taking a more proactive stance on mental health does not mean forgetting about other aspects of the job. With regards to whose responsibility the mental health of employees should be, Cox warned against using terms like stress, wellbeing and mental health interchangeably. While, a trained doctor is needed to provide for mental health, you don’t need to be a medical professional to manage excess demands placed on employees and other factors behind stress and wellbeing. Cox did agree that there is a need for HR professionals to get involved and use their access to sick notes, exit interviews from employees and similar processes to look for trends within an organisation and drive change. Responding to Cooper’s suggestion that data suggestion an epidemic of mental illness is predominantly anecdotal and that very little research has been scientifically validated, Cox referred to recorded high levels of stress within the civil service and corporate environments like banking. Businesses are reporting that this is why staff are not going to work, and as the watchdog for health & safety throughout the British workforce, it is therefore necessarily a priority area. Panel Chair Heather Beach asked Coyd about figures that suggest construction has the highest suicide rate of any profession, and that construction workers are six times more likely to die from suicide than a fall from height. Coyd has played a large role in developing mental health strategies for the construction industry. An issue with construction, he says, is that there is an obstructive culture that means workers don’t want to discuss how they feel. Coyd’s experience within mental health in rugby, shows that once you give people in those environments the opportunity to talk, the floodgates will open. The opportunity to drive change is therefore there, but needs role models to show that it can be done. Cooper maintained that statistics surrounding suicides in construction were nebulous, and did not prove any correlation between the nature of the work and the mental health of its workers, but Coyd suggested that a fractured industry – “the ultimate gig economy” – means that workers only know what they’re doing on a week-to-week basis, and that uncertainty around their jobs and paycheck are a cause of great stress and pressure. Additionally, people feel that if they show vulnerability they might not be taken onto the next job. Keep up to date with the latest news from Safety & Health Expo on SHP Online. SHP Debate: Do we really need to be talking about mental health so much? Recent years have seen mental health take a more substantial place in the health & safety agenda, but has its importance been overstated? 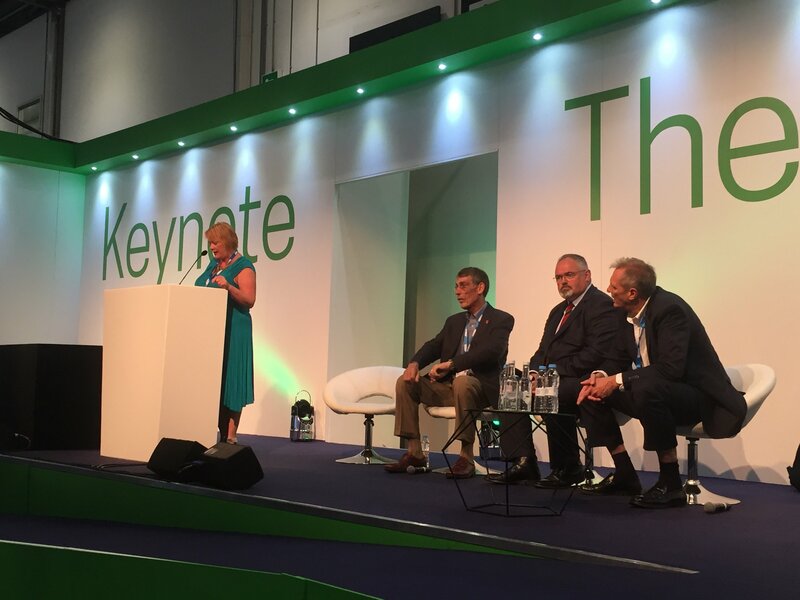 Four experts took to the Safety & Health Expo stage to debate the point.